I had many ideas but my time has been so taken up with family I never got to them. Oh well, maybe next year! 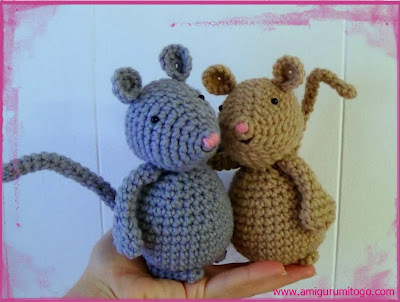 But 2 nights ago I was looking over one of our books called, The Church Mice by Graham Oakley and I got super inspired to make mice, so inspired I barely slept I just crocheted the night away! So you know what this means?! Yup, there's a new free pattern coming your way! I just need a couple days to get the pattern written up so stay tuned and soon the mice will be jumping off your ball of yarn too! Even though this post was about Adorable Mice I can still wish you all a Happy Halloween! 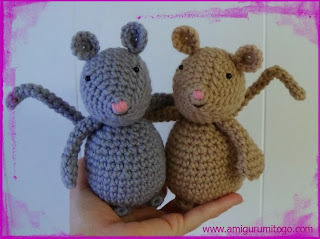 Hi Sharon, Looking forward to the MICE pattern, they're so cute!! Thanks for another cute pattern. Can't wait for the pattern!